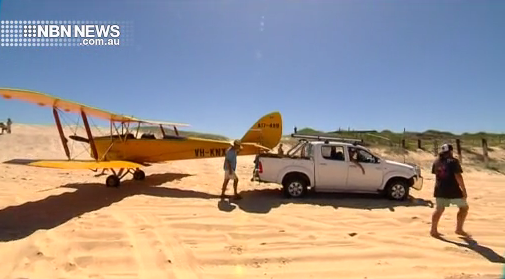 There’s been an emergency over Lake Macquarie – with a vintage tigermoth forced to land on a popular beach. The plane was flying in formation when it suffered engine problems mid flight. Despite the dangerous situation, the pilot managed to execute a textbook landing.